Alphaprints is a bestselling series of books featuring images made from fingerprints and photographs of everyday things. 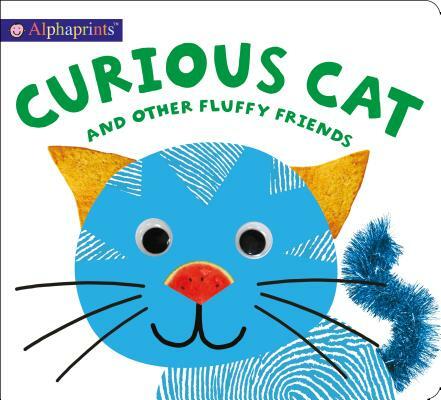 Curious Cat and other fluffy friends features twelve humorous cats, wild and domestic, with a funny rhyme about each one. With googly eyes on the cover and fingerprint embossing to touch and feel, this book is sure to entertain and amuse young kids. Other titles in the series: Happy Dog and other furry friends, Quirky Bird and other feathered friends, and Silly Squid and other fishy friends.